A veteran of Clondegad’s 1997 Junior B Championship win, Mikey Hehir is a manager with significant experience behind him. Now in his second stint at the helm of Clondegad, prior to that he managed Ballyea for three years. From Drumquin in Ballynacally, Hehir won two junior championships with Clondegad and played in two losing intermediate finals, before succumbing to a knee injury, having had an initial operation at 15. “Eventually the knee gave way. Every year it was getting harder and harder to come back. I started not making the team, so I got involved with the hurlers in Ballyea as a coach, about seven or eight years ago. As that year progressed, I ended up falling into the manager’s role. We had three relegation battles, one final and two semi-finals. We won two U-21 B in that period and the following year, when Robbie Hogan, Raymond O’Connor and Donal Kelly came in, they won the U-21 A. It was the end of the team that got to the county final in 2003 and the start of the next team,” he reflected. 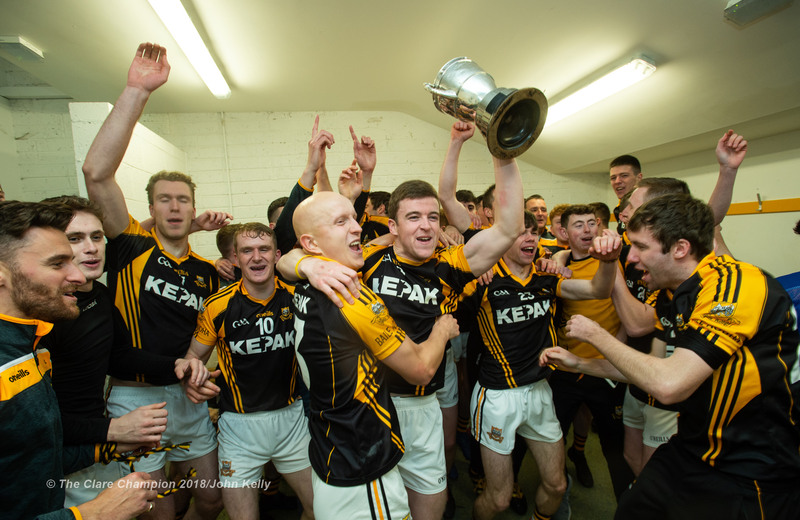 While Clondegad and Ballyea are separate entities, they are in real terms a dual club, who draw from the same pool of players. 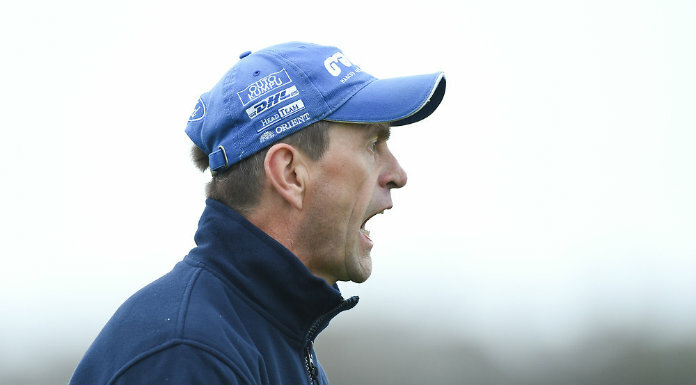 “You wouldn’t be let manage Clondegad or Ballyea if you didn’t accept the conditions. The clubs dictate at the start that we work as a dual club. If you were thinking of going four nights a week, you’d be told that it wasn’t the job for you. It’s very easily done when it’s done right. Going the other way only forces players to pick one or the other and makes it harder to get success,” he believes. 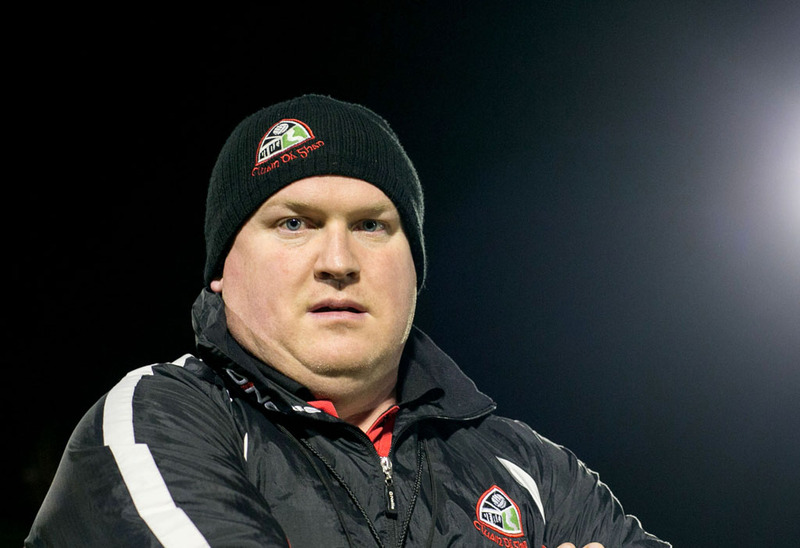 His demands are straightforward and Hehir has learned plenty during his stints with Ballyea and Clondegad. Sunday will be their seventh championship game of 2017 but Hehir feels that they were lucky to stay with Lissycasey in their drawn second round game. He finds that learning when to talk and when to allow the players space to take responsibility is a key judgement for any manager. “If you go in at half-time and you have 100 things in your head, the message gets totally lost. What you try to do is work on your targets, zone in on them and get at them quickly. We keep the message very simple. Maybe, as a younger manager, you wanted to say it all or always have the last say. All you’re doing is taking up the space for a leader to step in to. Generally the lads do it themselves. I said very little at half-time against Miltown. I only went through a few bits that were on our board and stepped back to leave it to them. Sometimes you can make a very good change and still lose. Other times you could make a change and win the match. People think it was the turning point when it might not have been,” Hehir reflected. He works for Ille Paper, installing machines and delivering around Munster and Connacht. On the way back from a delivery, he uses the time to talk about any Clondegad-related issues. Two years ago, Clondegad were well beaten by Cooraclare in the county semi-final. Hehir was manager that day and they also lost the Cusack Cup final to Kilmurry-Ibrickane. “Cooraclare were very good that day. They had their homework done on us. But we definitely learned more about how we set ourselves up from the start of this year. The hurling last year cannot be underestimated either. There are several players on the panel with county and Munster medals. They demand higher standards off you and that’s not even the county players. It’s the club boys. If there’s a night that’s not up to scratch or something that they feel should be done, they’d have no problem telling you. Also, one of the big things I’ve learned is to turn off the phone the odd evening and have your family life at home. If someone calls, they can leave a message. It won’t be anything overly urgent that you can’t fix the following morning. When you start in management, everything has to be done straight away and you get impatient and frustrated when it’s not. It only eats up energy,” he said. Hehir won’t be trying to shield his players from the hype this week. He feels they should enjoy and embrace it. “If you try to tell the lads to stay away from the hype, you’re only making them nervous. Last year the place went mental for the hurling and it didn’t affect them. The training field is very cool and calm. The parish is going to go a little bit wild and if you don’t want that, don’t get to a county final. That’s why you want to be there. The county final is a very big thing in Kilmurry this week and they’re the team everyone is trying to catch with the last 15 years. Embrace and enjoy it but remember to play the game and not the day. That’s something that we’ll hopefully get right,” the experienced but yet not quite veteran Clondegad managerobserved. Mikey Hehir is a manager with significant experience behind him. Now in his second stint at the helm of Clondegad, prior to that he managed Ballyea for three years.